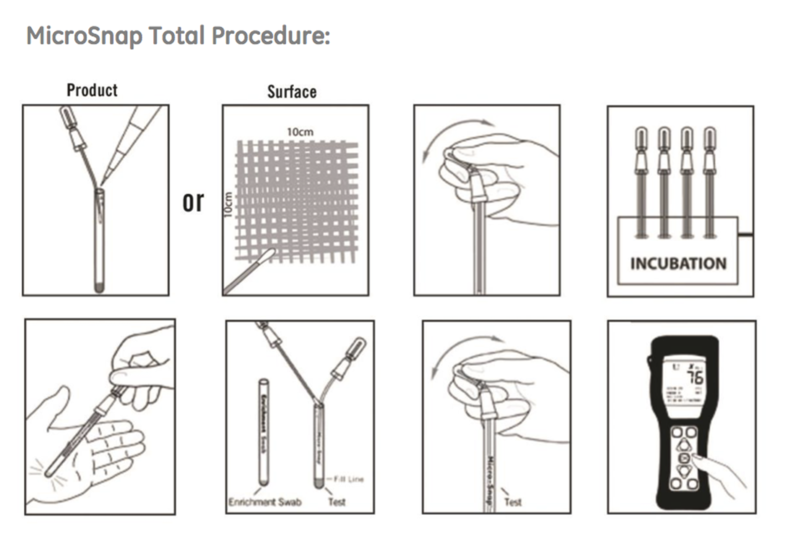 MicroSnap Total is a rapid test for the detection and enumeration of total viable bacteria in 7 hours or less. The test uses a novel bioluminogenic test reaction that generates light when viable bacteria are present. The light generating signal is then quantified with the EnSURE luminometer. MicroSnap Total’s same day results enable immediate corrective action to be taken if necessary. MicroSnap Total is AOAC-RI PTM Validated for a variety of food matrices.